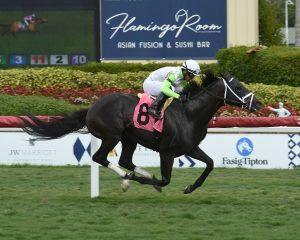 SOCIAL PARANOIA ran up the score to win by 8 lengths over Maiden Special Weight company at Gulfstream Park on G1 Florida Derby Day for BSW management client The Elkstone Group (Stuart Grant). 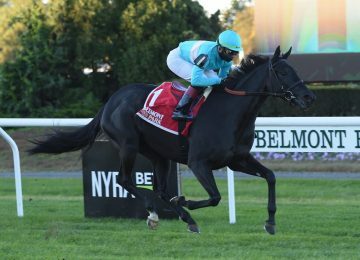 The 3yo son of Street Boss, a $75,000 yearling purchase by The Elkstone Group from the 2017 Fasig Tipton July sale, earned a 94 Beyer for his effort- the highest Beyer earned by a 3yo going long on the turf this year. Thought highly of as a 2yo, the Todd Pletcher trainee suffered 2 frustrating beats in his last two starts as a juvenile at the hands of G3 Pilgrim winner, Forty Under. 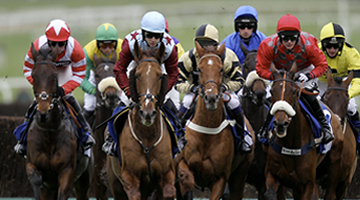 However, from his 6-lifetime starts, Social Paranoia has never been off the board earning $115,900. 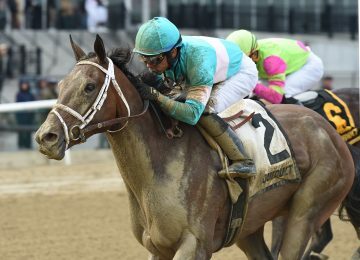 Considering his speed figures earned, connections will likely point for the $200,000 G3 Pennine Ridge at Belmont in June as a prep for the $1,000,000 G1 Belmont Derby later in July. Most notably, The Elkstone Group is one of the co-owners of 2018’s Champion 3yo Filly and Breeders’ Cup Distaff winner MONOMOY GIRL. 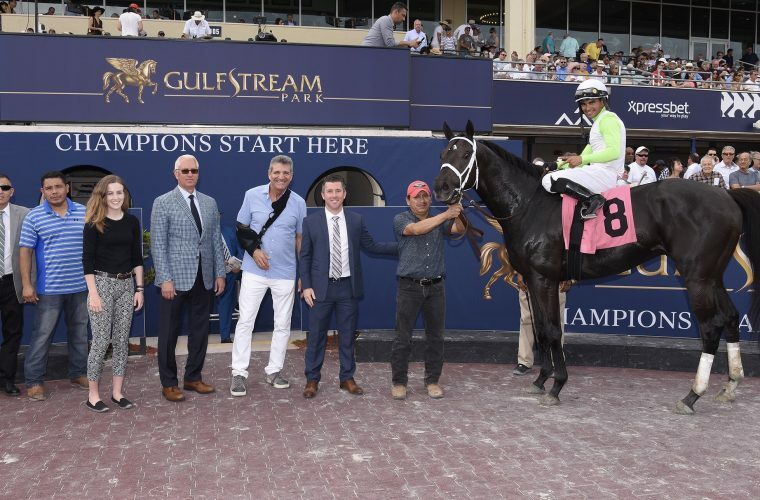 In addition to running horses under The Elkstone Group banner, Stuart Grant also boasts a breeding operation of about 30+ broodmares based at his C-Dog Farm in Maryland and at Windham Hill Farm in Kentucky. Many of his home-breds will also begin their careers in Camden, SC at Grant’s Camden Training Center under the care of Donna Freyer.